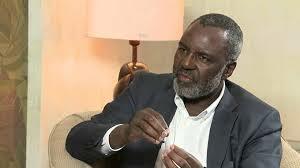 LOSING presidential candidate and Alliance for the People’s Agenda (APA) leader Nkosana Moyo (NM) says President Emmerson Mnangagwa and his Cabinet have shown that they have no idea how to run the country. He told Standard senior report Obey Manayiti (OM) last week that the socio-economic problems facing the country would serve as a warning for people to vote wisely in future. Below are excerpts.